Recently, Social Media Examiner published the updated version of their annual Social Media Marketing Industry Report. This year’s edition surveyed more than 5,000 social media marketers to collect their opinions on the state of the social media marketing industry, technologies, and effectiveness. 61% of survey respondents work in companies with 10 employees or fewer, and 48% of respondents work outside the United States, so the overall participant pool is a little different than other research of this type. That is a huge number, and indicates that while live video may not last (I think it will), you’ll certainly see a lot of practitioners giving it a solid try. A whopping 67% plan to increase their Facebook activities this year, but an equally staggering 40% do not know if traffic from Facebook has increased or declined in the past year. (!) I want to run a business where 2/3 of my customers want to do more with me, even if they don’t know if it’s effective. 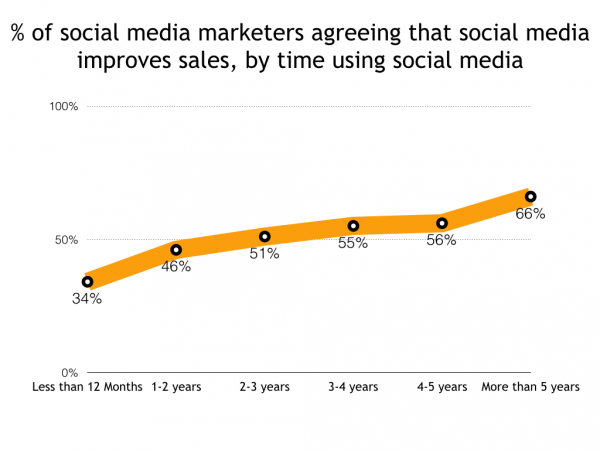 Helpfully, the researchers at Social Media Examiner pulled survey responses that compared stated effectiveness of social media (i.e., “how much do you agree that social media helps you increase sales?”) with participant data about how long they’ve been using social media. Important to note, of course, that this data is based on participants’ own definition of success. Thus, this could be a self-fulfilling statistic. People who have been employed in the social media business for multiple years could be convincing themselves that social media is effective, because if it wasn’t a portion of their entire identity and professional worthiness would be called into question. But I am choose to believe otherwise, that this data shows that time horizon is a great determinant of social media success. 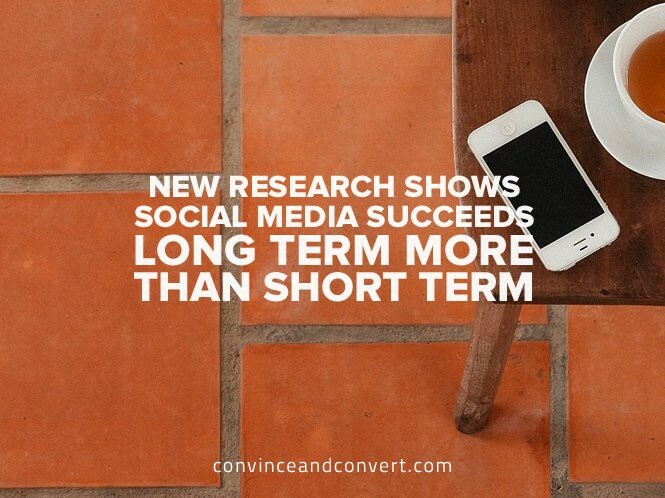 Social Media People Talk About Being Faster But Results Accrue Slowly Over Time. 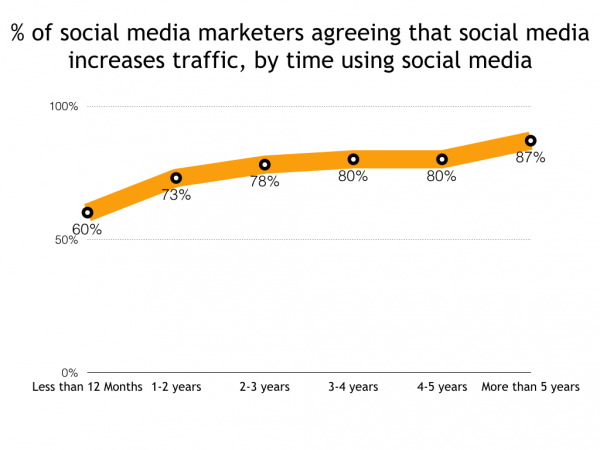 Almost universally, social media marketers belief in the effectiveness of social media increases in lockstep with their additional time working in social media. Do you agree? 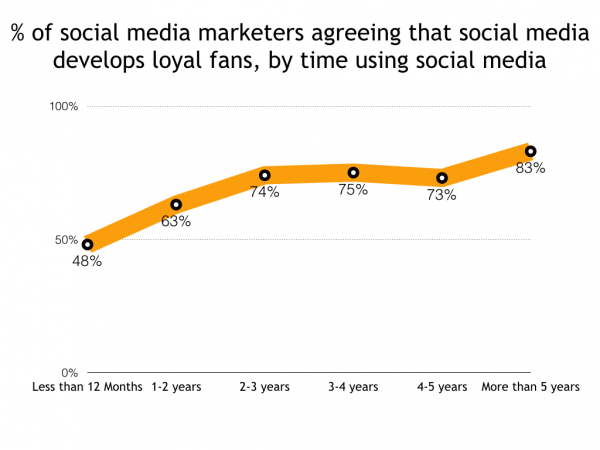 Do you believe social media gets more effective over time? Grab a copy of the free Social Media Marketing Industry Report and you’ll find a lot of other very interesting findings.